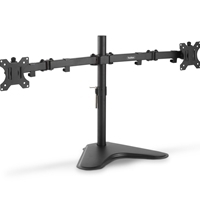 - Strong steel single arm conveniently declutters desk space. 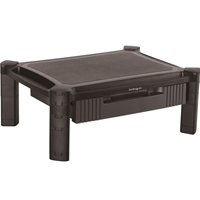 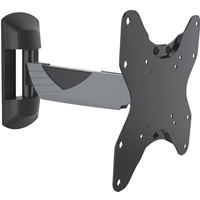 Holds one 13-27 TV or monitor up to 8kg. 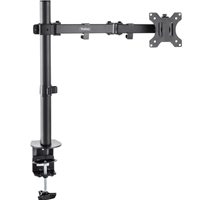 - Equipped with +45° -45° tilt, 180° swivel and 360° rotation for superb flexibility. 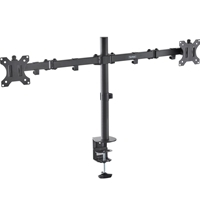 - Heavy duty clamp offers supreme stability, keeping your screen firmly and safely in place. 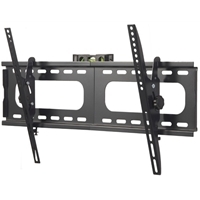 Changing screen position is simple and does not require tools. 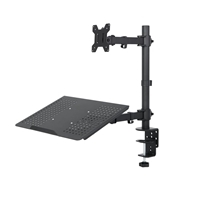 Suitable for most 13-27 LCD monitors and TV screens with VESA dimensions of 75x75 and 100x100. 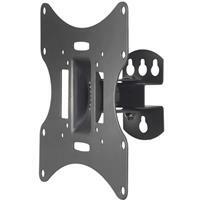 - Comes complete with full instructions and fitting hardware. 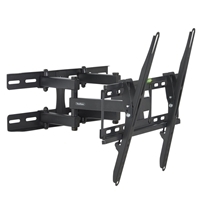 - Perfect for use in the home or office.